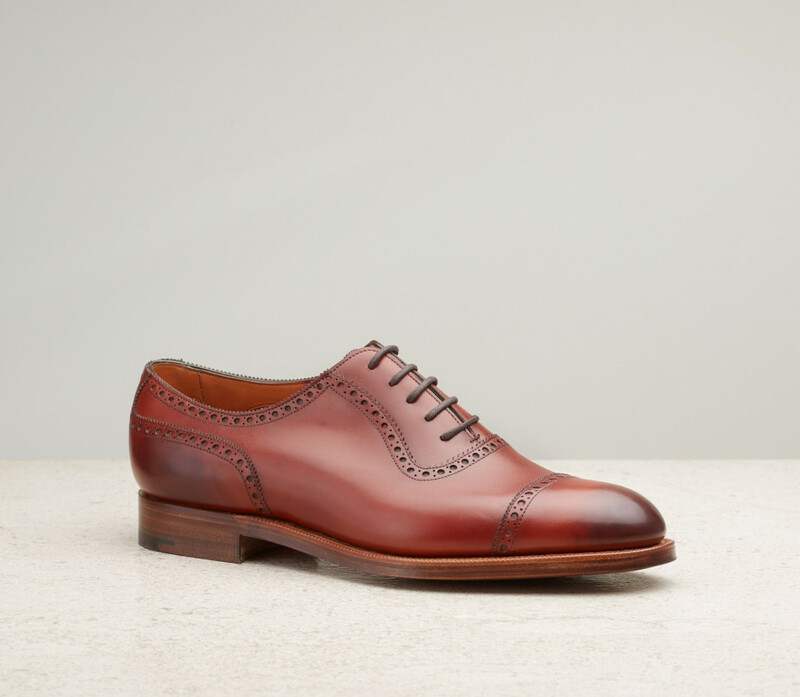 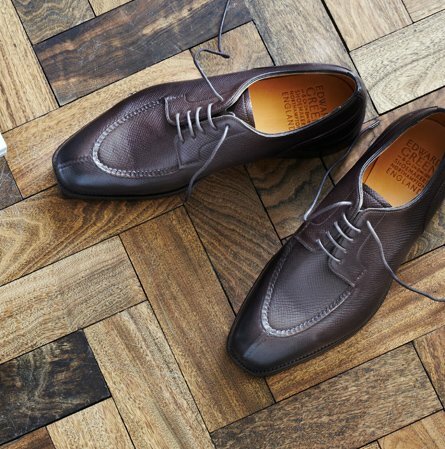 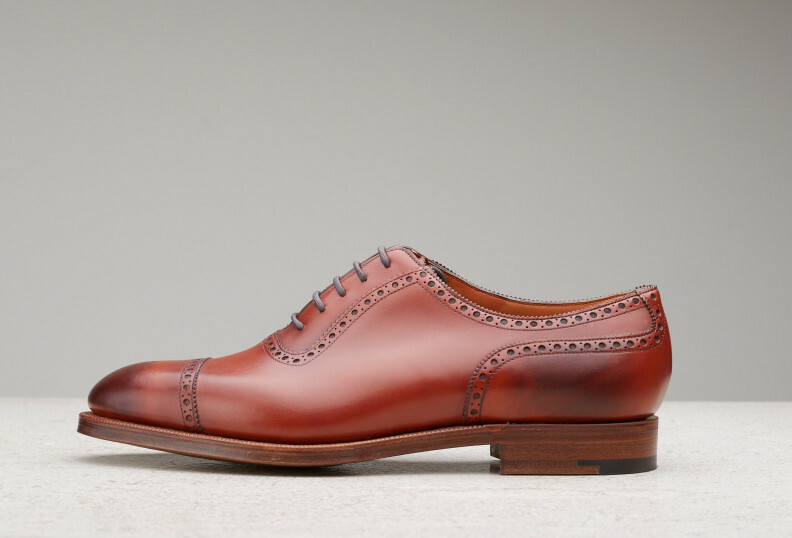 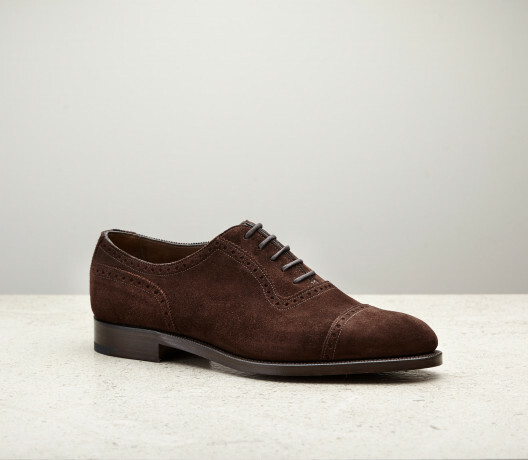 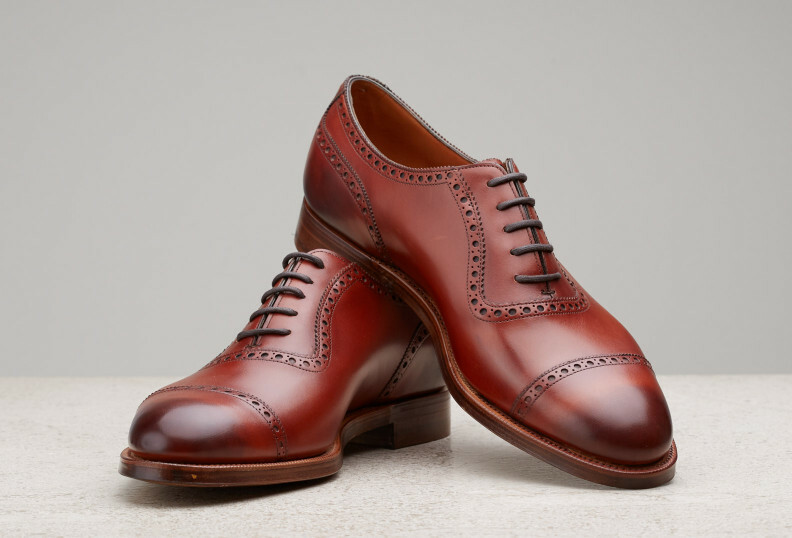 Our classic Adelaide oxford, with brogue punching across the facing, counter and captoe. 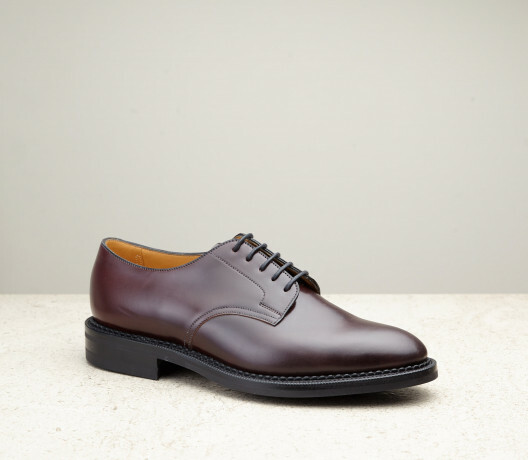 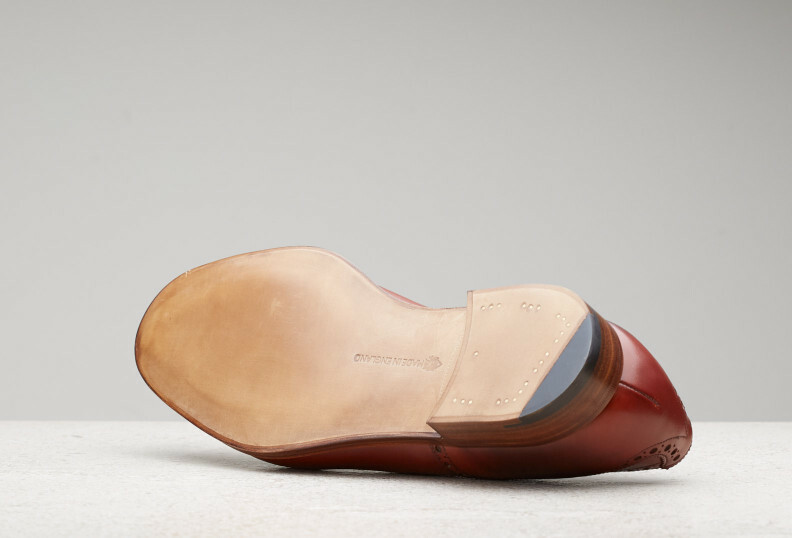 Made on the 202 last with a medium weight leather sole, the Canterbury epitomises a traditional St James’s oxford. 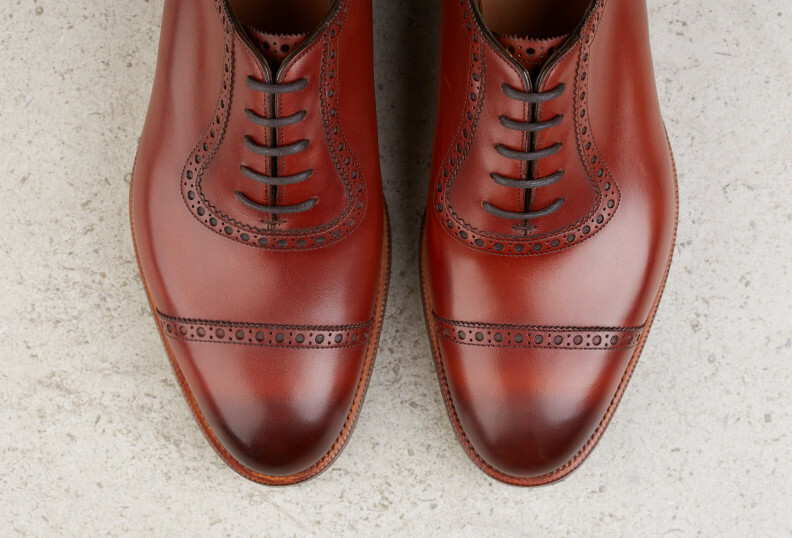 A light, warm red which showcases signature Edward Green antiquing with its richly burnished patina.